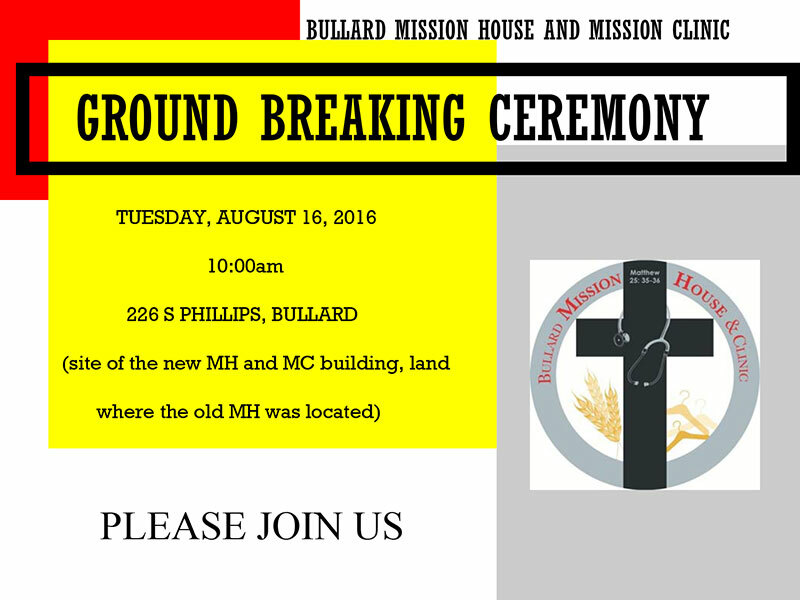 Please join us for the Ground Breaking Ceremony of the new Bullard Mission House and Mission Clinic facility. The ground breaking is happening Tuesday, August 16, 10AM, at 226 S Phillips in Bullard. The new facility is being built on the land where the old Mission House was formerly located, and it will house both the Mission House and the Mission Clinic. 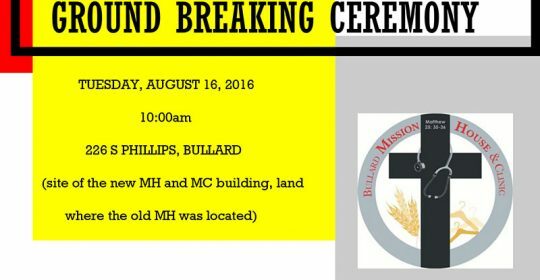 We look forward to seeing you there, and to celebrate what God is doing in Bullard, Texas. We are a community supported Christian ministry that helps to meet the physical needs of our neighbors in Bullard, Texas.